$10 minimum donation when donating via credit card. Please click the Donate button below to be transfered to our secure processing page. Your family can help the work at Mercy by taking home a baby bottle, putting your “leftover” change in it each day until it is full and returning it to Mercy. Mercy gladly welcomes donations in the form of currency or checks in the bottles. Try to minimize the pennies please. 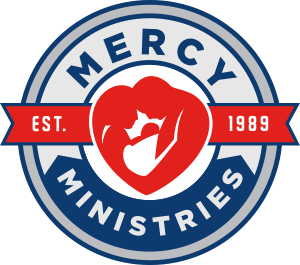 Donation of Supplies – Mercy provides FREE supplies such as diapers, clothing and formula to families in need. Please consider what you can donate to help meet these never ending needs. Matching Funds – Opportunities are available. Please contact Sherry for details regarding establishing this type of giving. Email sherry@mercypregnancycenter.org. Fundraising Events – Participate in one of our many fundraising events or contact us to organize your own event to benefit Mercy Ministries.